Paris is always worth a visit, especially with the channel tunnel now making it even easier. 4 hectic days playing golf in Le Touquet (Chanson d'Amour - Ra Ta Ta Ta Ta...) and took the casino to the cleaners. Took our beer in plastic glasses and went to play petanque at one in the morning. Can you imagine the authorities in England letting you do that. The golf tour swept through Bordeaux in 07 in the most atrocious weather. Good food and wine nearly made up for it. 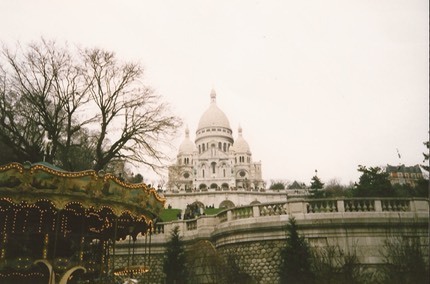 A view of Paris. 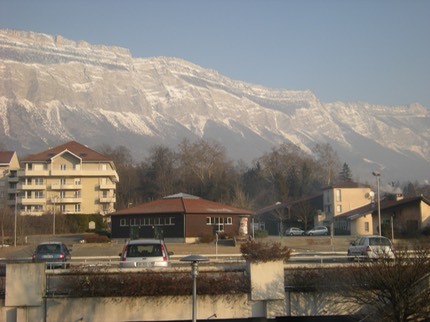 As of 2012, I am working for a company that has a base in Grenoble, so I spend quite a bit of time here. This is the view from the office window.